When most people think about Jesus and His Twelve Apostles sharing the Last Supper together (Matthew 26:17-30), this picture is what goes through their minds. 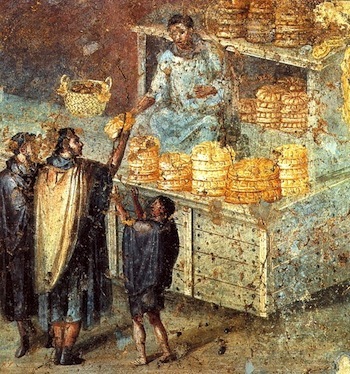 When the Romans defeated the Greeks in 146 BC, they adopted the Greek style of reclining dining (and almost everything “Greek”). 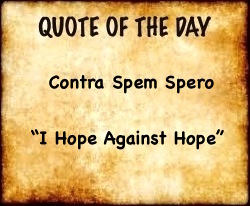 The painting below (c. late 300’s AD) was discovered on February 25, 1988 in the Romanian city of Constanta. 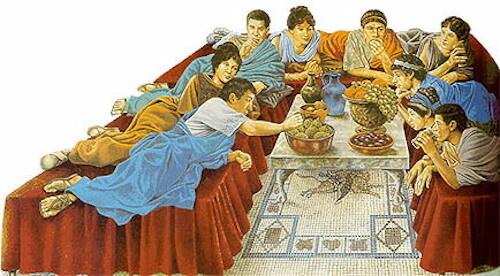 It shows five Roman toga-clad, young Romanized men reclining around a table with food on it. 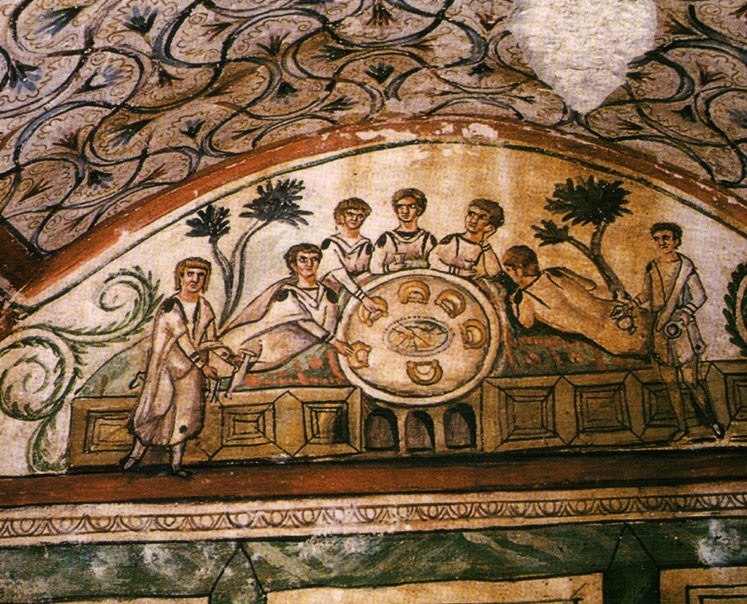 The man at the extreme right with his back turned to us is probably the dead man who is being depicted in his tomb eating and drinking with his best friends as he obviously loved to do when he was alive. 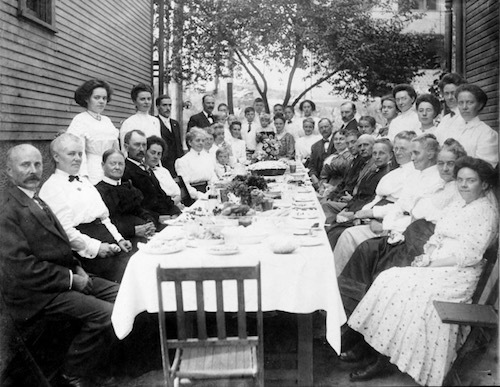 Large family in the late 1800’s. Imagine them all reclining during dining!